DARAJA is a UKAid funded project on Weather and Climate Information Services for Africa (WISER), in collaboration with the UK Met office. DARAJA – Delivering Anticipatory Risk Awareness and Joint Action – means ‘bridge’ in Swahili. 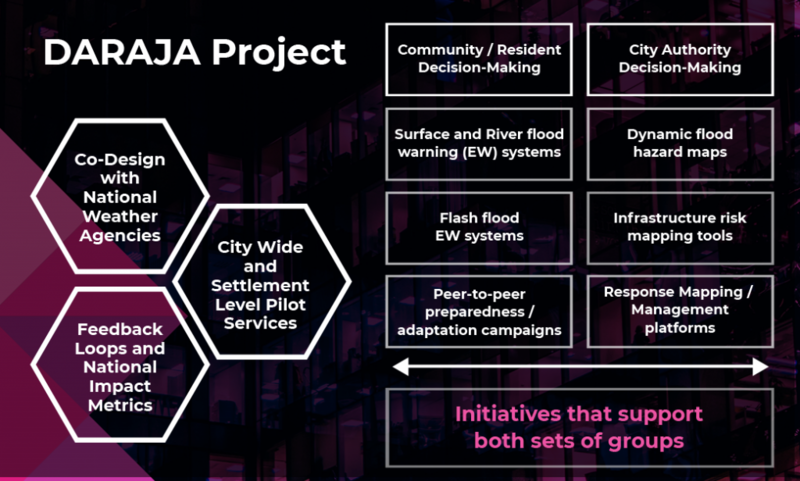 The DARAJA project’s purpose is to bring to improve the climate resilience of vulnerable populations living in informal settlements in Dar es Salaam, Tanzania, and Nairobi, Kenya by building the capacity of urban intermediary organisations who can interface between citizens and climate information providers. DARAJA aims to improve the climate resilience of 20% of poor urban residents in Nairobi and Dar es Salaam, amounting to approximately 800,000 people. 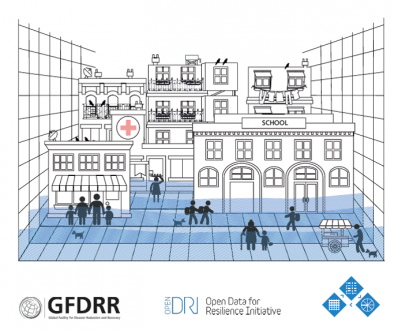 This ambitious project is carrying out the most comprehensive mapping of information flows through the two cities yet, solely dedicated to extreme weather and climate information services. 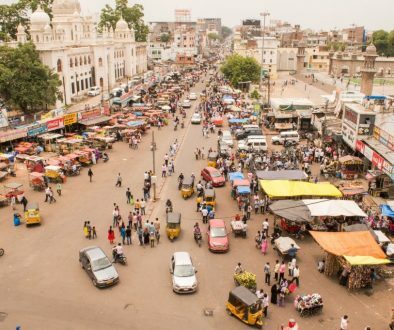 With a focus on how the authorities and citizens access and convey climate information at the moment, over 700 household surveys across the two cities will be conducted. The project is being delivered by a consortium comprised of Kounkuey Design Initiative (KDI) in Nairobi, the Centre for Community Initiatives (CCI) in Dar es Salaam, and lead by Resurgence, with the objective of addressing vulnerability to extreme weather and climate impacts in rapidly-growing informal urban settlements. 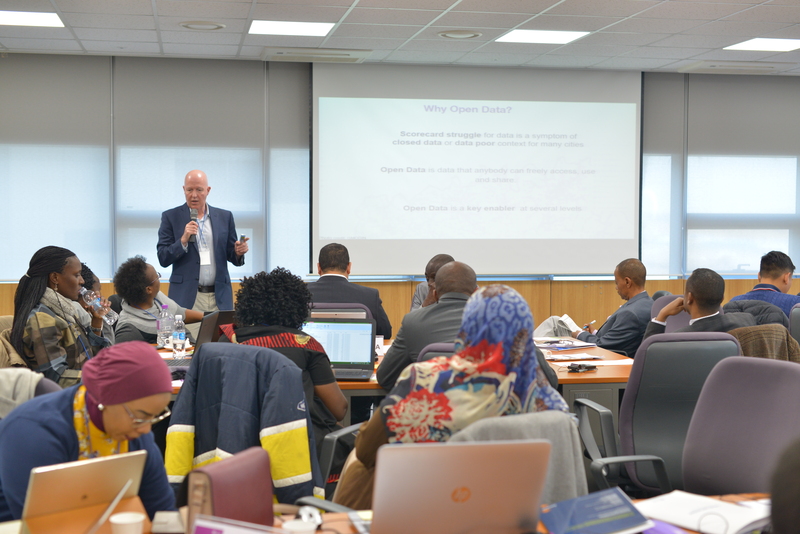 Together, we will create a framework and toolkit to underpin a new communication system for the creation, flow and use of weather and climate information in East African urban centres.